Put on your gear & go explore! 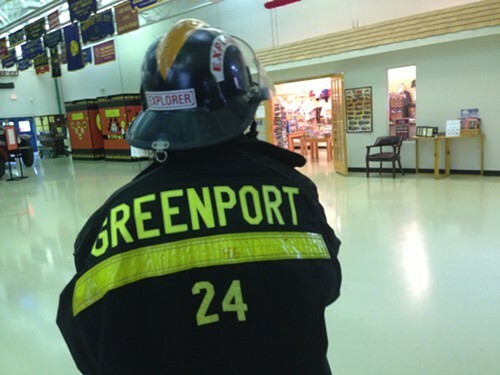 If your kids like fire trucks, dressing up in fire gear, and learning about fire safety and emergencies, then they will love the FASNY Firefighting Museum in Hudson. We went there with the kids on a rainy Saturday. It is a bit off the beaten path, but there are signs in Hudson that lead you to the way. The firefighting museum is very spacious. It's like being in a huge airport hangar full of fire trucks. (There are over 60 fire trucks on display, and the ones that kids are allowed to sit in are marked with a "Spotty" Dog picture). Lots of great photo opps here! Upstairs you will find the interactive fire safety education section which includes a 911 call simulator, a carpeted area to try a drop and roll, and other fire safety visual aids for kids. I also loved their gift shop. I bought two nice museum T-shirts that were on clearance. I was surprised that the FASNY museum wasn't crowded. It was just my family and another couple with two toddlers. Entry fee is budget friendly. It was $10 for a family of four. 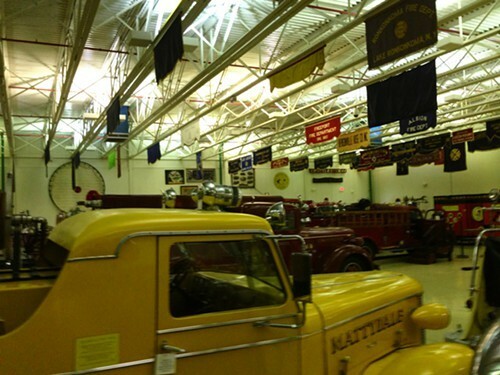 Anybody who is interested in the history of firefighting will enjoy a self-guided tour of the FASNY Museum of Firefighting. Check out Vanessa Ahern's blog, Hudson Valley Good Stuff for more ideas for where to eat, play, and recharge your spirit in the Hudson Valley.